The VDX-6350DE PC/104 Module utilizes an onboard Vortex86DX Fanless 800MHz processor built for Low Power Consumption. The processor is highly integrated so that it reduces the price of any board utilizing this processor. Unlike other PC/104 SBCs the VDX-6350DE maintains the true PC/104 standard form-factor and does not require “wings”. 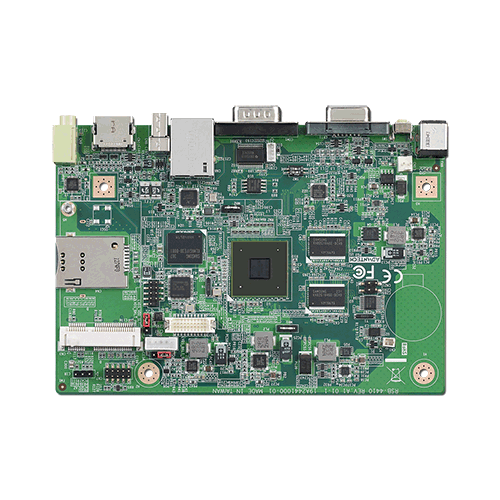 RSB-4410 is a 3.5” SBC (Single Board Computer) with ARM Cortex-A9 Freescale i.MX6 Dual 1 GHz processor. The RSB-4410 can support 2 GB DDR3 and 4 GB eMMC onboard flash, LVDS, VGA,HDMI display mode, 3 UARTs, 3 USB2.0 Client,1 GbE, 1 SD and MiniPCIe and SIM slot. The RSB-4410 focuses on signage application and It provides high performance and low power consumption from its ARM® Cortex™ A9 architecture which is ready-to-run, compact, and easy-to-expand in order to meet customers' versatile needs. With flexible I/O interfaces and complete hardware and software solutions, RSB-4410 is a fast time-to-market platform for customers to develop their applications and products easily. The EPAC 3000 is a high performance data acquisition and control computer based on Hitachi's HD64180 / Zilog Z180 processor. This high integration CMOS microprocessor features an enhanced Z80 instruction set that includes a fast multiply instruction, two 16 bit timers, a memory management unit that supports 1 MB abyte of memory and 64K bytes of I/O space, a DMA controller with memory to memory and memory to I/O transfer capability and a versatile interrupt controller that manages twelve interrupt sources. CENTRAL PROCESSING UNIT: HD64180/Z180 with 6.144 MHz clock speed. LOW POWER: All CMOS construction. DIGITAL I/O: 8 optically coupled inputs, 8 high drive outputs, 20 programmable unbuffered lines terminated to a 50 pin I/O rack compatible header connector. ANALOG I/O: 16 channel, 8 bit analog to digital converter, or optional 16 channel, 12 bit plus sign analog to digital converter with sample/hold. MEMORY: Maximum system memory is 512K bytes, 128K RAM is furnished and 1K bit nonvolatile EEPROM. COMMUNICATION: 2 RS232 serial ports with interrupt support. TIMERS: 2, 16 bit timers with interrupt support and a watchdog timer. POWER SUPPLY: Single Voltage supply operating from +8 to +15 Vdc. with on board regulation. EXPANSIBILITY: 50 pin header connector for use with accessory boards. The EPAC 3000 is a high performance data acquisition and control computer based on Hitachi's HD64180 / Zilog Z180 processor. This high integration CMOS microprocessor features an enhanced Z80 instruction set that includes a fast multiply instruction, two 16 bit timers, a memory management unit that supports 1 MB abyte of memory and 64K bytes of I/O space, a DMA controller with memory to memory and memory to I/O transfer capability and a versatile interrupt controller that manages twelve interrupt sources. 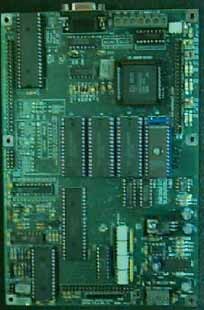 EMAC integrated this powerful processor onto a board that contains 36 digital I/O lines, 2 serial RS232 ports, an 8 bit A/D converter (13 bit optional), all CMOS construction and more with a board size of 5 1/4" by 8.0". The EPAC 3000 was designed with the same key features (watchdog timer, machine sockets, single rail power supply with on board regulation, optically coupled digital inputs, transient protection for analog inputs and a separate analog ground) that give the EPAC series of single board computers their high degree of reliability. Reliability and Performance make the EPAC 3000 just as home on the Factory Floor as the Laboratory Bench. Future expansion is also provided for by the EPAC 3000 with the ENET network. 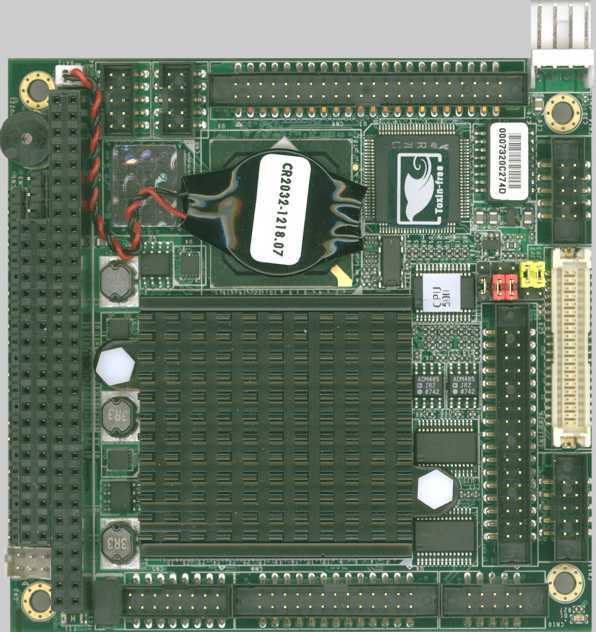 ENET allows up to 32 EPAC Single Board Computers to exchange information. EMAC offers a total system solution to your application needs, with development software, peripheral boards, signal conditioning cards and more. The new Universal Expansion Interface gives the EPAC 3000 compatibility with virtually all the EPAC series accessory boards. So take the EPAC 3000 for a 30 day risk free test drive and just see what this single board computer can do for you! DIGITAL I/O: 8x optically coupled inputs, 8 high drive outputs, 20 programmable unbuffered lines terminated to a 50 pin I/O rack compatible header connector. COMMUNICATION: 2x RS232 serial ports with interrupt support. TIMERS: 2x 16 bit timers with interrupt support and a watchdog timer. POWER REQUIRMENTS: Single Voltage supply operation from +8 Vdc to +15 Vdc (+12 Vdc recommended) with on board regulation. Maximum current draw is 150 ma., 130 ma typical.